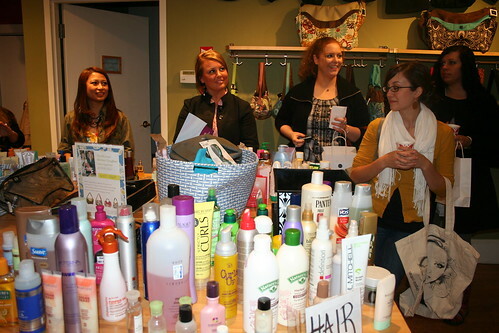 Despite the rain and the relatively new concept of swapping beauty products, about 20 fabulously fearless Swapaholics showed up last night for our first-ever Beauty Swap & Bag Party at 1154 Lill on Newbury Street in Boston. There were new-to-us free beauty products from brands like Chanel, Fresh, Kiehl’s, L’Occitane, Origins, Clarins, Tarte, and too many more to name individually. 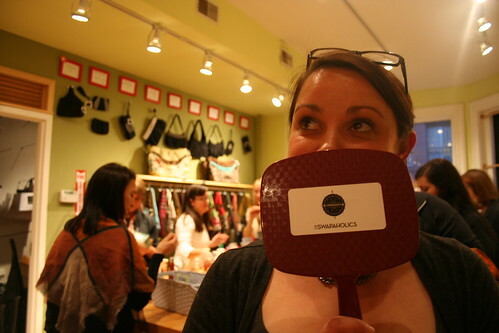 The bubbles flowed and the cupcakes were noshed, plus one lucky swapper walked away with the grand poo-bah of swap prizes: a brand-spanking-new Lexie bag from Lill! 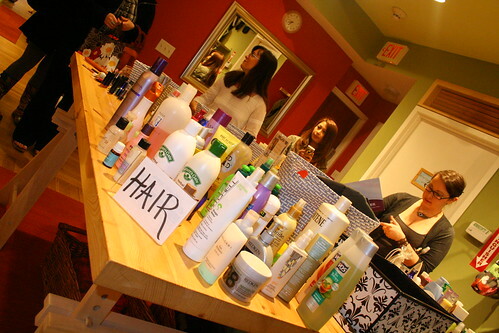 Here are a few photos from the beauty swap, which we’re definitely going to do again soon. Possibly in Denver. But more on that later! 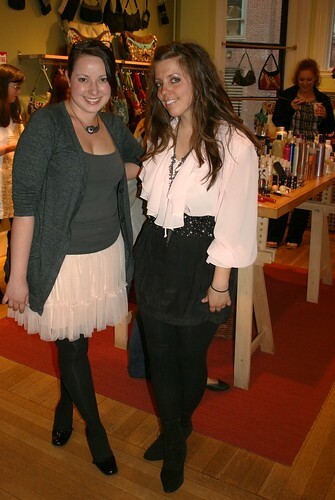 Look how cute me and Melissa are in our coordinating “Chanel pink,” black and gray outfits — totally unplanned, we swear! 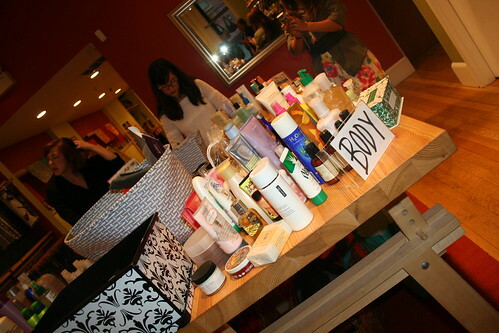 Oh nice to see this photos,which is this place .I think more peoples were involved in purchasing beauty products. This is a great idea, where did it come from? How can people join up? Hi Punky, excellent biz, did you swap any nice products? I know my wife would love to come along, is this friends only or open to others. Please let me know, would be a great surprise for her.